July is one of my favourite months of the year, why? Because it’s my birthday month! 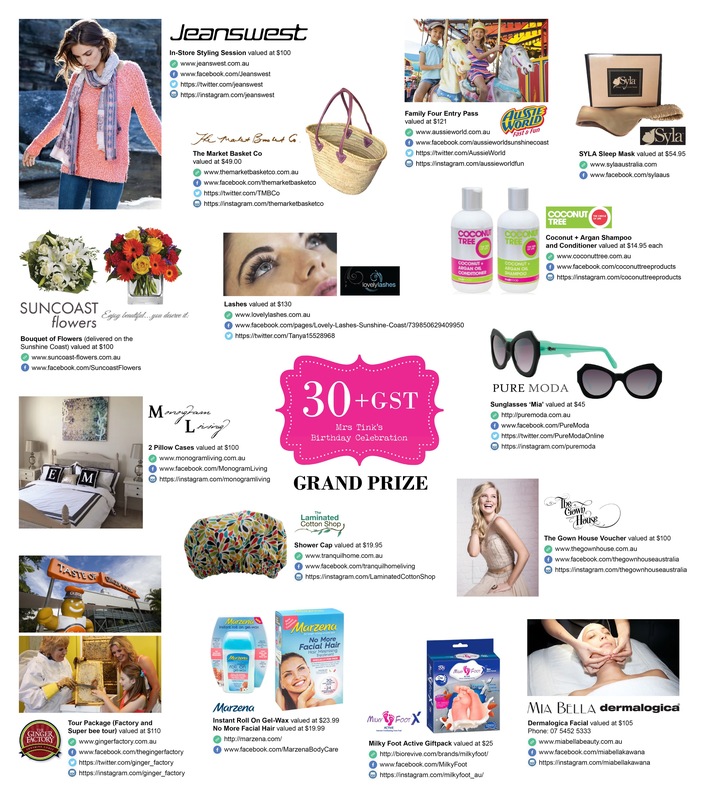 This year I will be 30 + GST (33) and I’m extra excited about it!Ever since I can remember I have subjected those around me to a month long celebration celebrating yours truly. I love nothing more than lots of fun birthday adventures and extravaganzas and I thought this year it would be fun to include you too! I’m a kid at heart. I still love glitter, teddies and amusement parks! 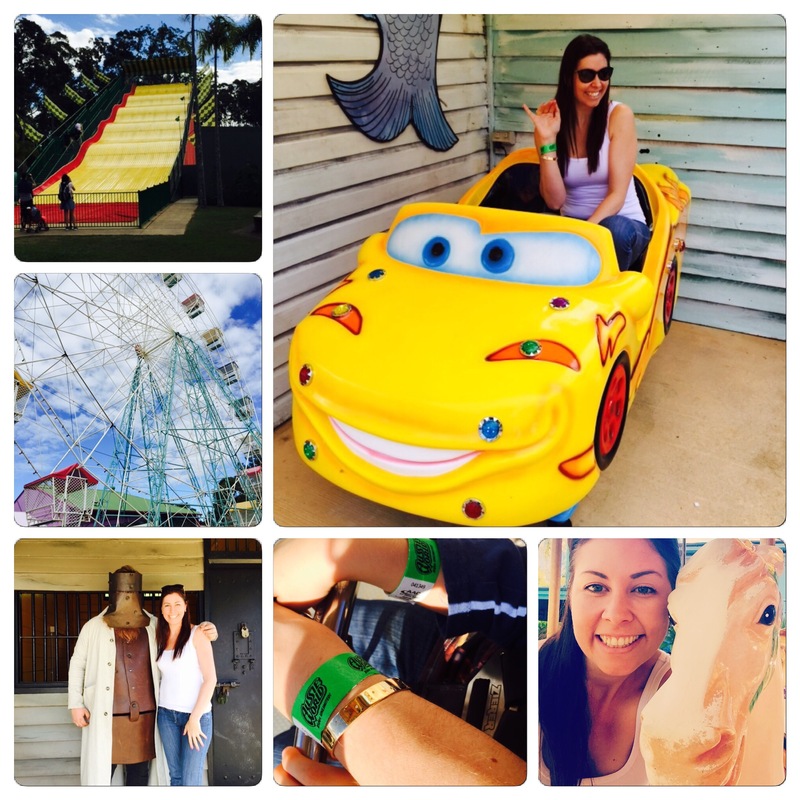 The Sunshine Coast boasts its own amusement park which is filled with lots of rides and adventures that you would normally expect to see at a huge theme park. I first discovered Aussie World before I had kids. Mr Tink took me there on a date and we played like kids for hours, eating hot dogs and riding the Ferris wheel. When Master 6 was 3 we took him and a friend for his Birthday and the boys squealed while they ran around eating fairy floss and playing mini golf. It’s been years though since we last visited and I was eager to return when offered the chance to review Aussie World. I knew this was one review the whole family would love! Master 6 counted down the days, hours and minutes until we would visit Aussie World excitedly telling all his friends at school he was going for a day of fun. Finally the day had come! We arrived around 10am armed with two eager kids both busting to get inside the gate, as we reached the counter we were served by a lovely lady who explained all the new rides and the entertainment that awaited us. Master 6 squealed with delight as we learnt about a new pass you could buy that give you access to Side Show Alley. They even offer it at a reduced rate just if you purchase at the gate, and being huge fans of the moving clowns and sitting ducks we bought our pass and got ready for some fun! As soon as we entered we knew we were in for a great day. The staff were friendly, all smiling and greeting you. Something you don’t see enough in hospitality today. It really filled us with happiness to see them so happy to be at work. First stop was the Ballroom Blitz Swings for master 6 then Mr Tink, Miss 1 and I ventured to the merry go round. First we enjoyed our rides – which produced two very happy little kids – then we moved onto the Giant Slide. It is not only bags of fun but doubles as a great workout as you do the stair climb – my PT would be happy. Sideshow Alley was calling our name so we made our way to the clowns and sitting ducks, and to Master 6’s excitement he won a huge soccer ball and a soft toy for Miss 1. Winning all round! Next the boys took to the The Wild Mouse rollercoaster will the girls visited the spinning tea followed by The Bug Run which I enjoyed so much I went on 3 times. One of the wonderful things about Aussie World is your day is spent on rides not in lines and the friendly staff keep things moving which meant very little waiting. We stopped for lunch at the eatery and enjoyed hot dogs and chips for the boys and a healthy sandwich for me. Aussie World has a wide range of healthy options which was perfect for me because I then had room for a macadamia ice cream (can’t be too good can you). After lunch Master 6 wanted to play mini golf and with Miss 1 asleep in the pram, exhausted from all the fun, I decided to have a walk around and quickly found the bar! Yes that’s right BAR. 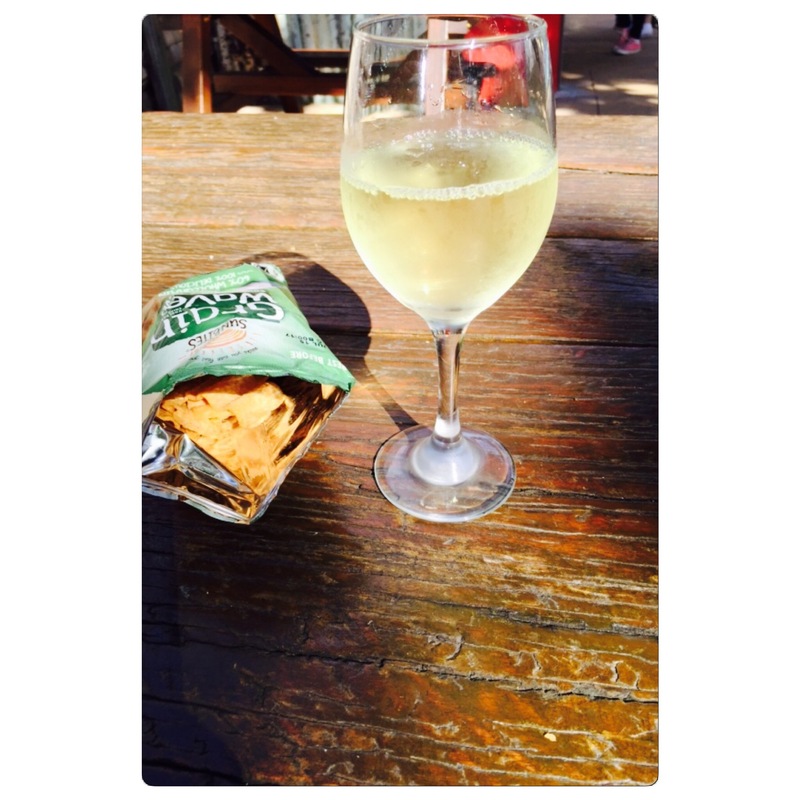 I could hear a cold chardy calling my name. While the boys played and Miss 1 snored her head off I enjoyed the sun, a lovely wine and some R&R – bliss! When the boys had finished we moved onto the Ferris wheel and made some fantastic family memories. Both kids had never been on one before or that high in the air. They had a ball! One of the great things about Aussie World is they have something for all ages, they cater for everyone. Tired out from a day of family fun we left through the gift shop and made a few quick purchased which were hard to resist in the fairy area and went on our way home for an afternoon kip promising the kids we would be again soon. Reviewing Aussie World was an absolute delight and is a true credit to management, their new rides were even better than we expected and we can’t wait to return again soon. 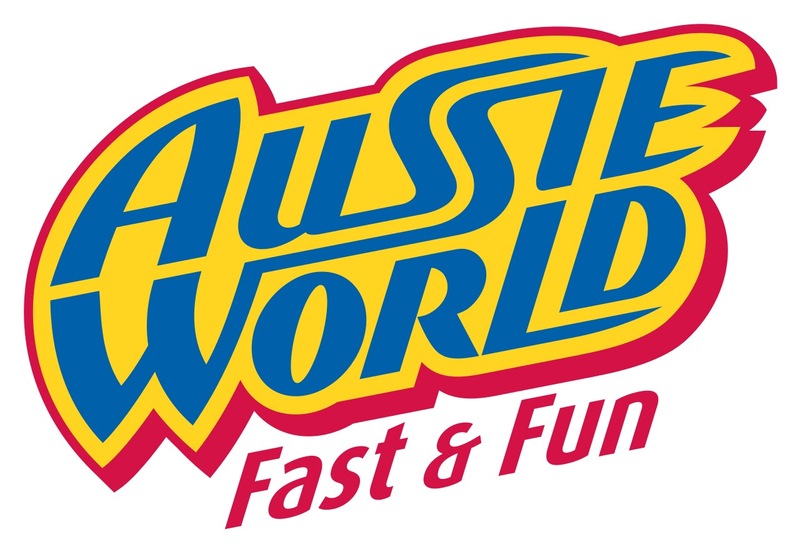 Aussie World is a privately owned, medium sized, family theme park on the Sunshine Coast offering over 30 different rides, attractions and FUN in a beautifully landscaped, well maintained, safe and family friendly environment. Recently Aussie World invested over two million dollars into infrastructure development and introduced four new attractions; thrill ride Redback, water ride Plunge, fun Giant Slide and water play area Leak’n Logs. Striking a dramatic pose on the western skyline of the Bruce Highway at Palmview, just north of the Caloundra exit and one hour north of the Brisbane Airport, the park forms part of a larger tourism precinct consisting of the Pub and the Aussie World Retail Village. Aussie World was formally recognised for its vital contribution to the Sunshine Coast tourism industry, winning the tourist attraction category of the 2013, 2012 and 2011 Sunshine Coast Excellence in Business Awards and became a finalist in the 2011 Qld Tourism Awards. Aussie World on the Sunshine Coast is the only theme park north of Brisbane and the Gold Coast. 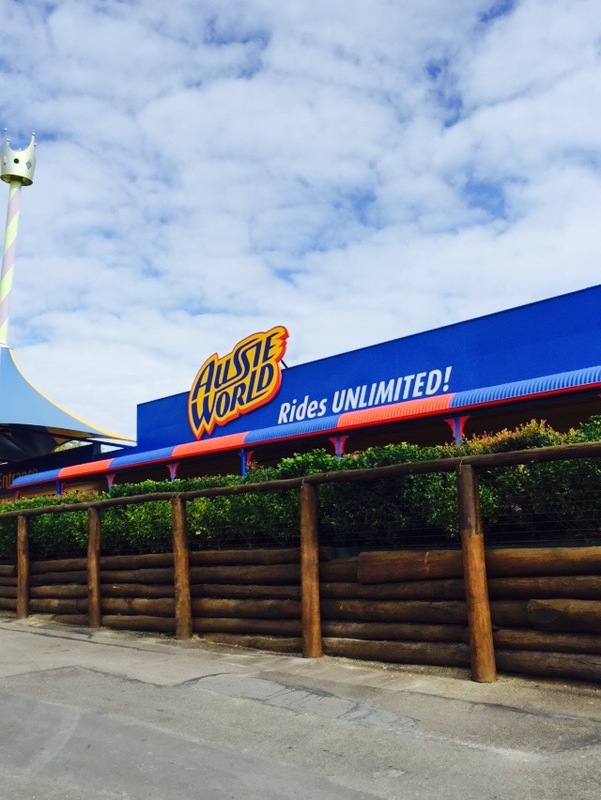 Its Rides UNLIMITED featuring over 30 exciting rides and attractions in a safe, family friendly environment. 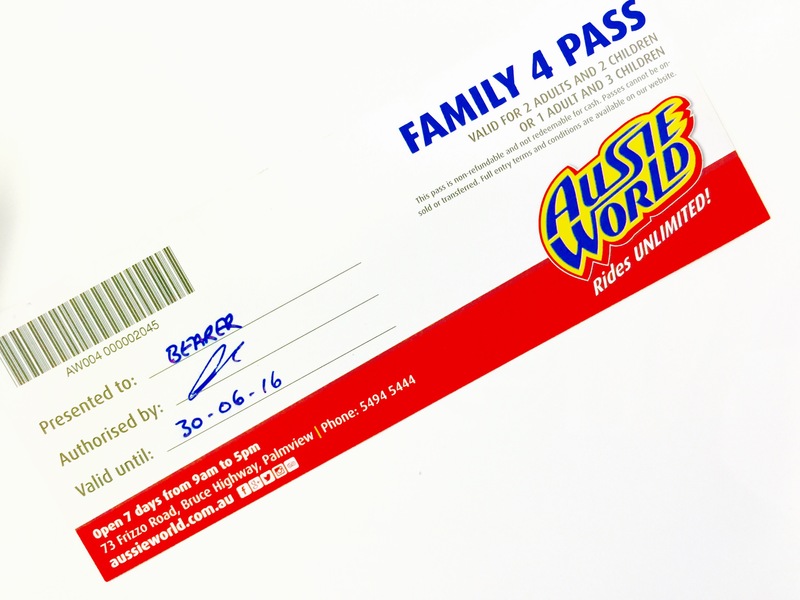 Aussie World’s all-inclusive admission price includes unlimited rides. You’re guaranteed to spend more time on rides and less time in queues! 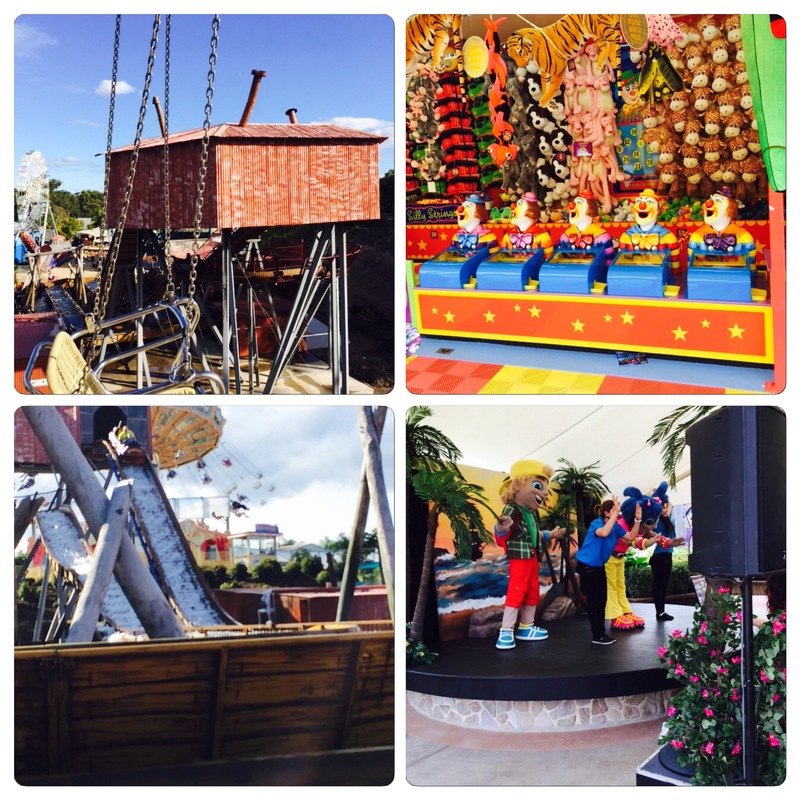 Aussie World prides itself on the number of rides for little ones under 100cms. Every member of the family is guaranteed to find a ride perfect for their size and courage level. Aussie World 09:00 to 17:00 hours daily (Closed Christmas Day 00:25 December, Open from 13:30 Anzac Day 00:25 April). 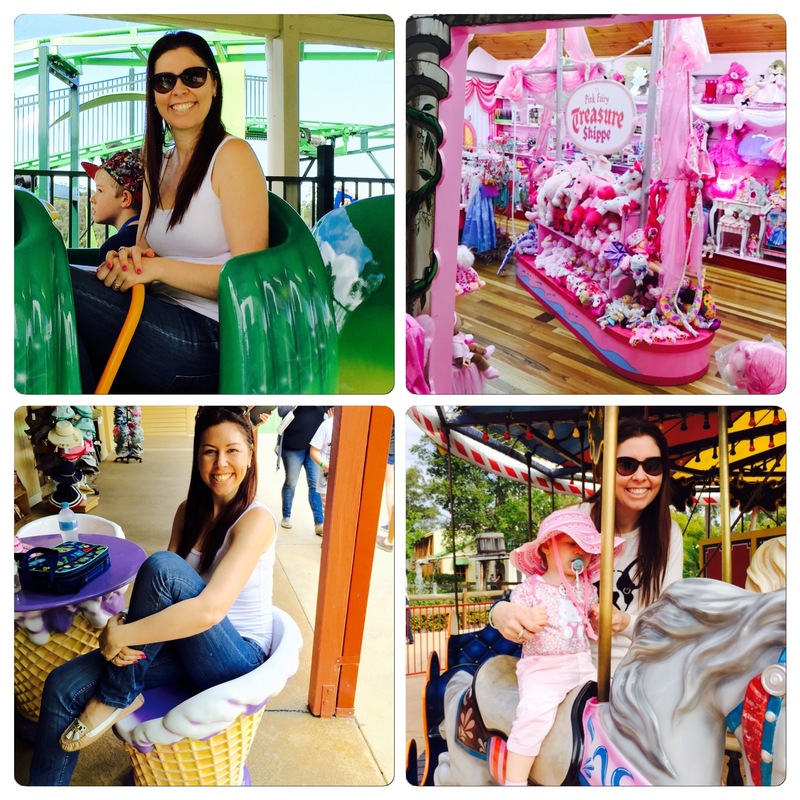 I absolutely loved whizzing around on the chairoplane … it used to be at every ekka but i havent seen it in years!!!! The Ferris Wheel, fond memories of rugging up in our jackets, scarves and beanies and sitting atop the Ferris Wheel and watching the fireworks at the show each year. Reminded me of the Fireworks that go off at the start of every Disney movie. This tradition still stands now with my husband and our 2 little boys. I could spend my days going around on a Ferris Wheel taking in the spectacular delights of our world! 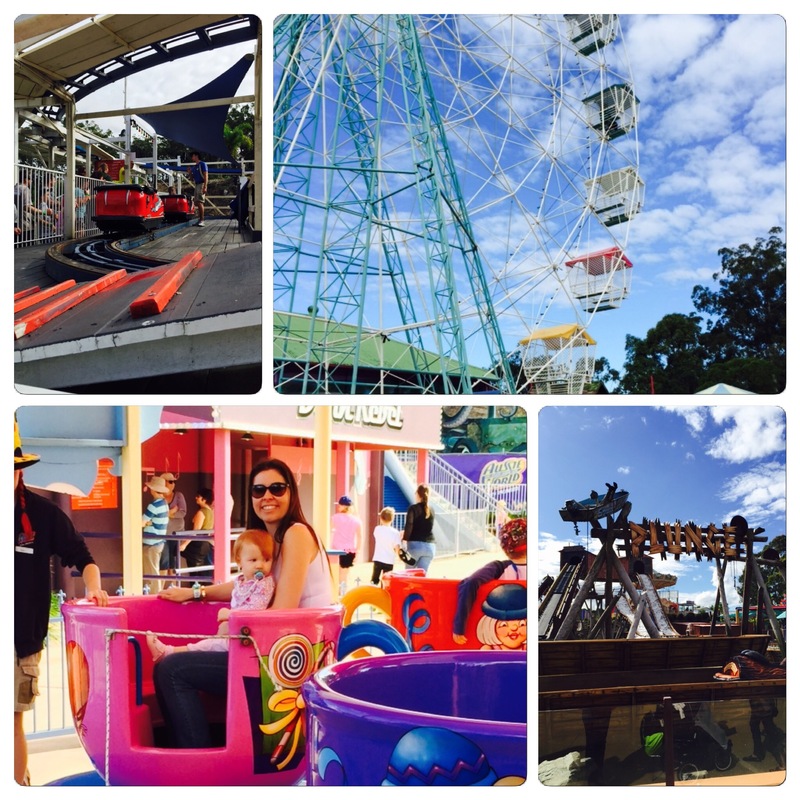 I loved the chairlift at the Brisbane Ekka – a “daring” ride for ne without any nausea!!! 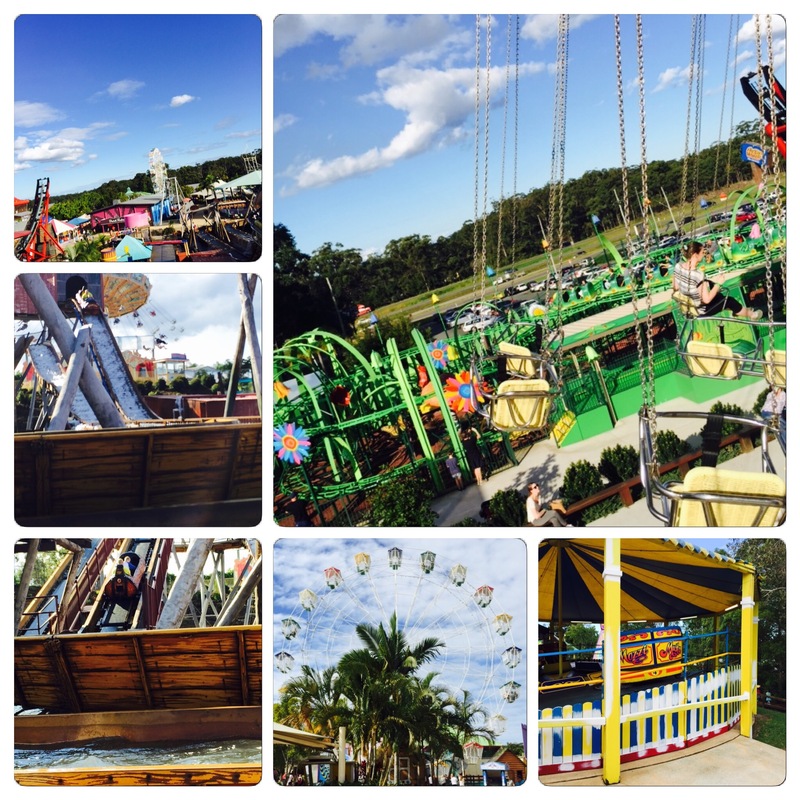 The swings that spin around.. or gravatron at dreamworld…my dad used to make me go on it. i can spin and spin and never get dizzy! last time i went somewhere like this i giggled like a little girl again haha. I loved carousels as a child, and I still love them now. My favourites are the beautiful, old ones. There something so relaxing about going round, can almost imagine I’m a child again! Hollywood Horrors – it has us terrified – and I mean genuinely terrified. We had to tour a castle which, unbeknownst to us, housed some of the most frightening characters to have ever come out of Hollywood.